Eugene, OR is often considered one of the country’s most livable cities. Nestled between the Cascade Mountains and the Oregon Coast, the City is known for its festivals and thriving arts scene, world-class sporting events, and wide array of recreation opportunities – all with a backdrop of natural scenic beauty. 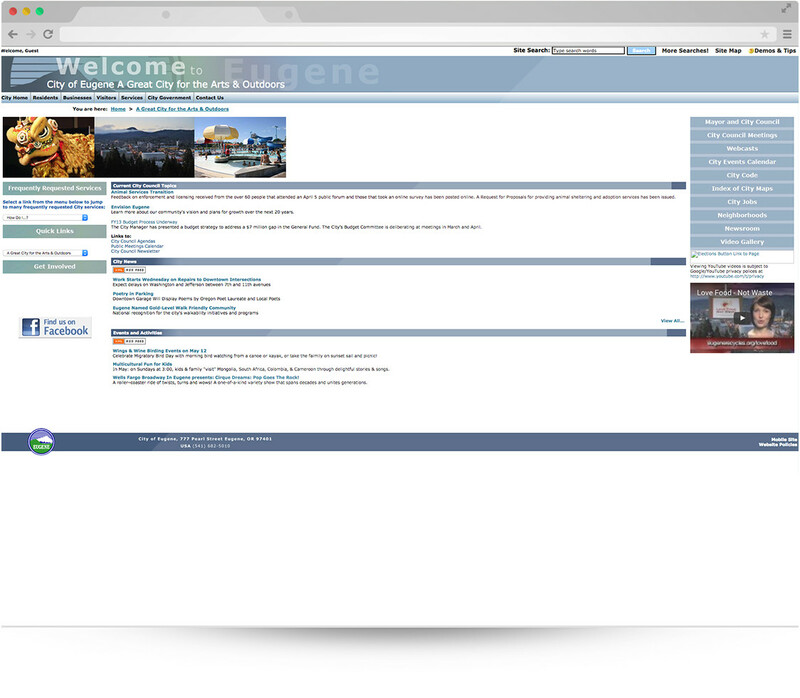 When deciding on a website vendor, Eugene was looking for “the whole package” and found that solution provider in CivicPlus. “We were looking for a hosted solution,” McCrea said. “CivicPlus specializes in local and municipal government and seemed to have a great understanding of some of our unique challenges. We also liked that they offer excellent support. It’s very, very good – a great ticketing system and great people that are not only technically competent, but very enjoyable to work with.” She said they were also impressed by CivicPlus’ training resources and Community Connections, an online forum where governments in the CivicPlus family can exchange ideas. 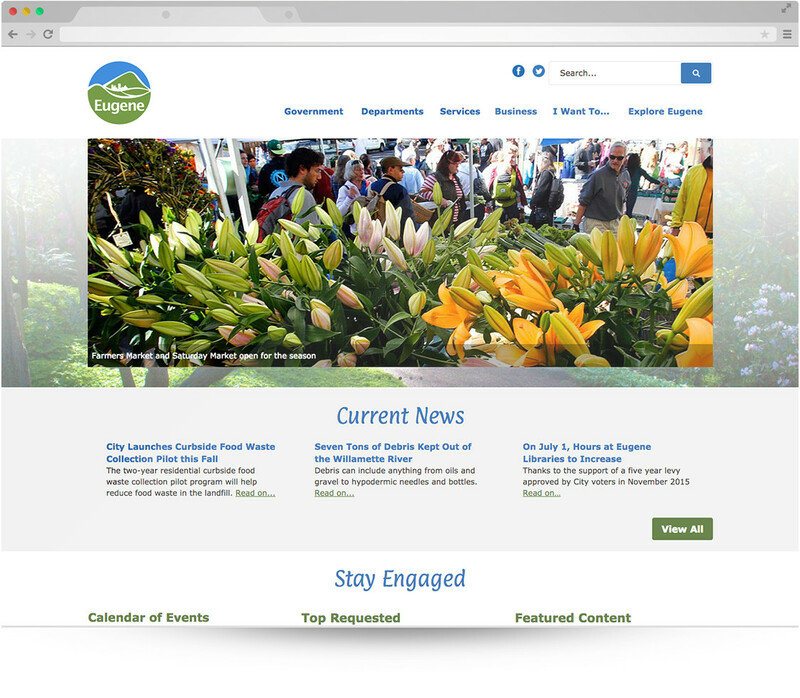 The user-friendly, redesigned site is helping to reduce call volumes and has improved previous navigation issues. 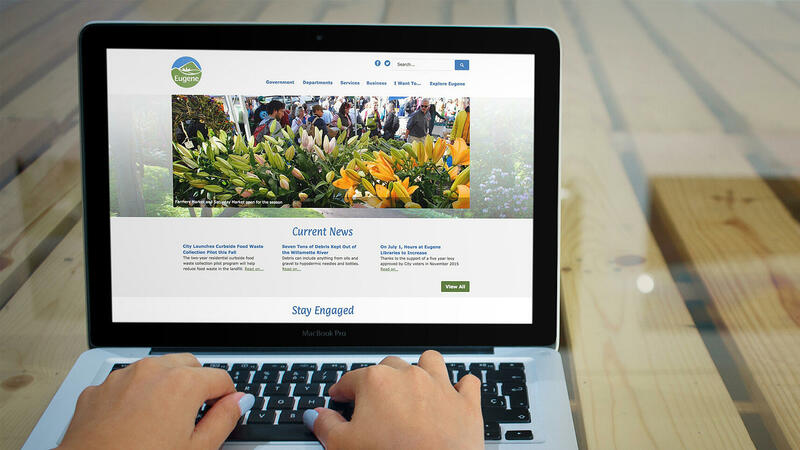 “We’ve worked really hard to populate the site with meaningful images, beautiful images, and also use visuals that enhance navigation to provide that emphasis we were missing in our old site,” McCrea said.